Palmistry, or Cheiromancy is a very popular and accurate way of divining. Leic de Hamon (Louis Hamon, aka Cheiro), the famous nineteenth century palmist was named Cheiro after it. The art of Palmistry can be traced back as far as the Stone Ages. Pictures of human hands are frequently found in cave drawings, indicating their special interest in this part of the body. These paintings can be seen in the Lascaux Caves in France, the remarkable Santander caves in Spain and in several caves in Africa. The ancient Vedic scriptures contained an abundance of information on palmistry. K.C. Sen, an eminent Indian palmist, says the earliest writings on palmistry were ancient Sanskrit. These verses have been preserved and are still guarded from the public eye. Cheiro, the famous palmist, claimed to have seen one of these manuscripts in the early 1900’s. “…and he said, Wherefore doth my lord thus pursue after his servant? for what have I done? of what evil is in my hand?” 1 Samuel 26:18. “He sealeth up the hand of every man, that all men may know his work.” Job 37:7. “Length of days is in her right hand; and in her left hand riches and honor”. Proverbs 3:16. Before the birth of Buddha in 563 B.C., leading seers of the time gathered at the royal palace. They were drawn by extraordinary indications revealed in the stars. They were ecstatic to find the mark of the wheel on Buddha’s hands and feet, indicating his future greatness. Palmists in India still look for this special mark in the palms of babies. Gypsies came into the picture around the eleventh century, though they had been practising palmistry for centuries before. Sigismund, the Holy Roman Emperor, enlisted the gypsies as spies. Word of this soon spread and when Gypsies arrived at the gates of Paris in 1427 they were not allowed inside. However, the citizens of the city, intrigued and excited by these romantic strangers, rushed outside to have their fortunes told. The tradition of crossing a Gypsy’s palm with silver, dates back to this era. The church claimed the Gypsies were in league with the Devil. To counter this, the Gypsies explained that the Devil was afraid of both silver and the sign of the cross. Therefore, if you made a sign of the cross over a Gypsy’s hand with silver you would be protected. Needless to say, the gypsies kept the silver. Interest in using palmistry for psychological analysis is a product of the last century. The first major work on this subject was Julius Spier’s The Hands of Children, which appeared in 1944. Not surprisingly, the introduction was written by Carl Jung. This was quickly followed by works from Noel Jaquin, Charlotte Wolf, and in 1990, by Andrew Fizherbert. Since the Second World War, research on palm patterns has been going on at the Kennedy Galton Centre near London. This research has lead scientists to confirm that health factors can be determined in the hand. The current research into dermatoglyphics (the study of skin patterns) is potentially the most exciting development in the history of palmistry. Although palmistry dates back to the Stone Ages, its greatest period is just beginning. Now that scientists are proving its validity, palmistry may very soon become a main stream reality. Palmistry is a science based on the study of the hands. It can help individuals in self-discovery, relationships, career options, recovery from depression and a host of other self development issues. It’s up to the individual to discover all the opportunities that present themselves when the world is viewed from a perspective of knowledge instead of chaos. 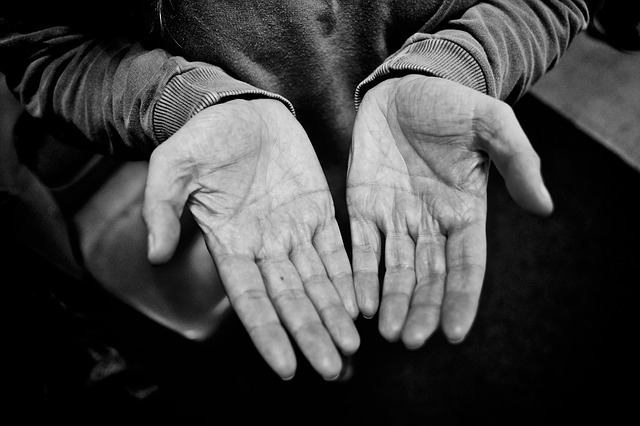 One of the unique characteristics of palmistry is handprints taken at different times in a person’s life, provide palm readers with “before” and “after” snap shots of the individual’s progress through time. This can be a great tool to chart the progress in attitude/habit forming and help pinpoint specific conditions in an individual’s life. This can help the individual see how a certain belief or habit was formed in their life and help them to change or modify their belief or habit. Palmistry, like a doctor’s examination, is strictly a diagnostic reading. It can point out the forces that operate within individuals, and summarize the logical results of these forces. They can be accepted as they are, or can be changed over time. Why use Palmistry in the first place? The most logical reason is most individuals have at least one hand. It’s convenient and personal. The lines on each individual’s hands are different and highly personal to that individual. Goethe, a famous philosopher, and Richard Webster, a New Zealand psychic and palmist, both claim that the lines in the hand are a map of the individual’s brain. Professional palmists explain to the client how a palm reading session will work, before a reading begins. Most individuals visit a palmist because of a problem they have not been able to resolve. They may be nervous and perhaps a little apprehensive. To ease the individual’s anxiety, professional palmists try to be empathetic to the individual’s concerns. During the reading, they will attempt to focus on the individual’s need for information. It takes two to produce a good reading. There must be a positive rapport between the reader and the individual. As in many other areas, psychic impressions from the palms are never 100% accurate. It is not an exact science, but a solid indication of the past, present and future. Although palm readings are rarely ever 100% accurate, professional palmists generally achieve a 70% – 80% accuracy rate. Mindset is critical to a reading. In many cases, an individual may have one thought or worry that consumes them. In these cases, the individual may be so consumed with their one focus that they miss the information that has been provided for them. Their mind will be constantly trying to find information that relates to their concern. At the end of a reading, the client should evaluate the palmist. A scale based on percentages works well as an evaluation tool. If the reading was 70% – 80% correct, the individual should feel comfortable and confident that they received a positive reading. They should also report what they feel was incorrect, to the reader. Modern science is just beginning to understand the potential that palmistry has to enable individual development. This ancient craft, with unknown origins may offer individuals an option for alternative treatment. By understanding the information written in the lines of the palms, humans may be on a journey of deep inner understanding.